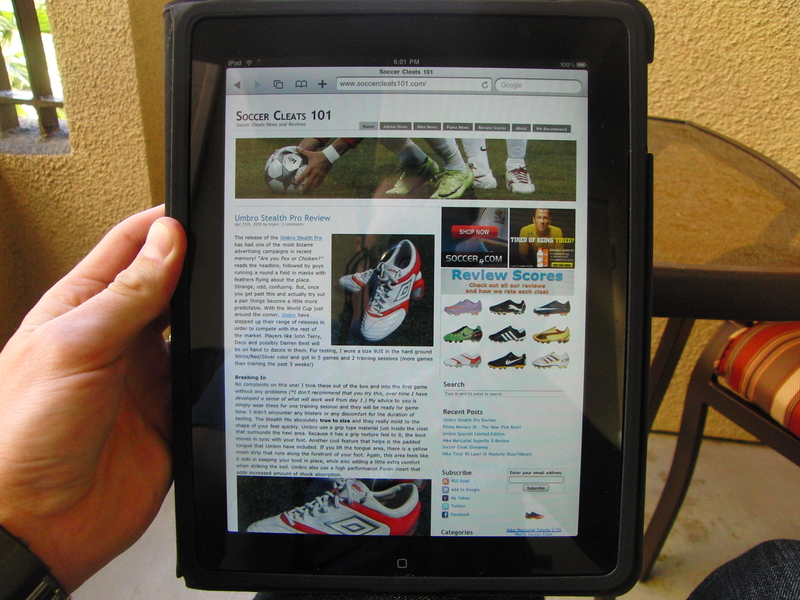 I got to check out the new Apple iPad this past weekend, and of course the first thing I went to check out was how SoccerCleats101 looked. To be honest, I was pretty impressed that it fitted the screen so well! If you have had a chance to check out the site on an iPad let us know what you think. Please give us more reviews of horse cleats, and less filler like this.